There is something really magical about the combination of marvelous local coffee and learning about blogging monetization! I had a blast at his past AZ Blogger Meetup at Piexoto Coffee with Find Your Influence, and I am eager to tell you all a little bit about what we covered. Special thanks to #KyasiBeltBuckle for the awesome iPad case we used at the event! I am now a full-time blogger! I know, right?! I was freaking out at first, too. It's a bit intimidating to leave the regular 9-5 life for something you're passionate about, and you are honestly not even sure you can sustain for months (and years!) But it is with much logic and planning that I've finally committed and made the jump to monetize and expand with the Our Mini Family brand. This is why I was so amped up for the #FYICoffeeMeetup event with the AZ Bloggers group. We had a great discussion with the Find Your Influence crew, and the lovely Camille (of Friday We're in Love blog). Camille spoke about her own personal experiences with blog monetization, as well as some other bloggers she knows personally. What really stuck out to me was when Camille coached us on the four main ways bloggers can make money! It seems pretty straight forward, but there is certainly a lot to consider here. For one, Advertising isn't necessarily going to be a huge payout if your blog stats aren't there; by blog stats, I am referring to your unique monthly views, your unique viewers, your reach, etc. Also, have you ever seen those blogs that are covered in ads that it becomes distracting? Blogs that are covered in nonsensical advertisements make me sad. Affiliate Links can be great for some types of bloggers (i.e. beauty and fashion bloggers), and it can also come across ridiculous if not done appropriately. Allow me to provide an example: you see a blog post that has a bajillion bolded links and no real content, and every link directs you to buy something on Amazon or another site. How does seeing that done so much make you feel as a reader? For me, I feel like of neglected and taken advantage of. It's crucial as bloggers to remain genuine and still want to create content directed both for and directly to your audience. Sure, making money is important and affiliate links can be profitable. But at what cost? Just a few things to consider. I myself do use some affiliate links, but I typically only do this when I really and truly believe that my readers will want or benefit from it (and because it's related to the content I am posting at the time). Let's talk about "Services." So what do I mean by that? Well, this is for bloggers who are good at something besides writing! It is very common in the blogger world for writers to also share their expertise in another way. I am going to call out another blogger here who is awesome and uses Services monetization in a great way: Stephanie, of Life Created, does beautiful photography. And she knows that she has a gift! But what's really cool is that Stephanie offers local photography classes here in the valley! So if you are a blogger and you are good at something that others would benefit from, perhaps you should consider offering your Services on your blog to make money! And last but not least we have Content Marketing. Like Camille, I myself am a huge fan of this avenue of blog monetization. I am going to be transparent here: I am using content marketing on Our Mini Family to fuel my funds and pay my bills! What this means is that I am tasked to share my thoughts and ideas about a specific product or brand, and do it in a way that conveys a story. This goes beyond showing an image of a product and talking about it (that is a whole other post we could dissect in itself), which as a reader I am sure you just do not genuinely care about. It's not about the product with content marketing: it's about an experience. When I share a recipe that features a product in it (e.g. Coca-Cola, Cheez-It, Alexia Fries, etc) I am ultimately striving to tell a story. Sure, these companies pay me to come up with something to promote their product, but really my job is to think of a way to show my readers how and why these products are relevant to you (and why you should use them like I do). 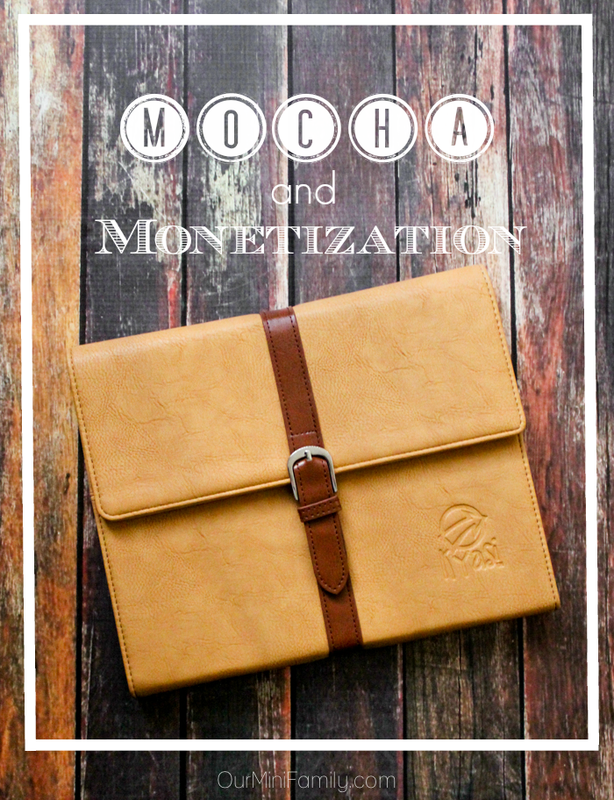 So there you have it--those are the four most relevant ways bloggers can monetize! And like any AZ Bloggers Meet Up, we had the chance to mingle and network a bit. Melissa (This Brunette Blogs) and I carpooled to the event together, and we had a great discussion after the event as well. We're both eager to pursue even bigger blogger opportunities and grow as influencers! Her and I felt we got a lot out of the event, and I am glad I was paying enough attention to take such diligent notes on my iPad! 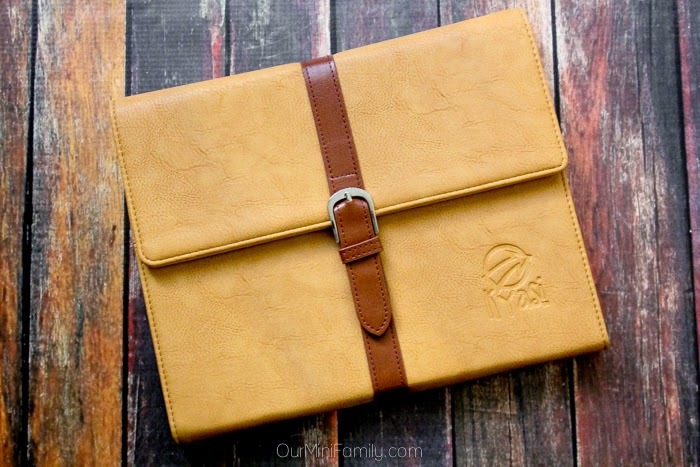 Special thanks to #KyasiBeltBuckle for such a stylish iPad case! I am glad I don't look like a total dork going to the AZ Blogger Meet Up events with a clunky, ugly iPad case that cramps my style. Note: I received this #KyasiBeltBuckle in exchange for an honest review on Amazon.